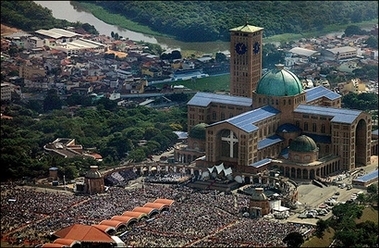 General view of the open-air mass conducted by Pope Benedict XVI in the vast explanade of the National Sanctuary of Aparecida, in Aparecida do Norte, Brazil. 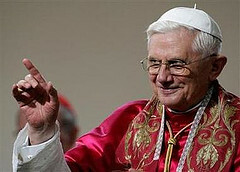 Pope Benedict’s intention for November, 2007 is Respect for Life. That medical researchers and legislators may have a deep respect for human life from its beginning to its natural conclusion. Something that many parents will appreciate is that they offer a reflection for children each month too.